MEAT SCANDAL: REPACKAGED IS THE NEW FRESH? Should we add Ebola to the List of Foodborne Pathogens? mustafa akhtar on Should we add Ebola to the List of Foodborne Pathogens? American Thanksgiving is coming up, which is a prime time for meat producers as they will be selling a lot of turkey, ham, chicken, and many other meats that most families traditionally consume on Thanksgiving. If families are tight for time to prepare food, or have a lot of people to prepare food for, some will resort to getting Ready-to-Eat meats from the deli, such as ordering deli turkey breasts or deli ham. With the purchase of ready-to-eat (RTE) meats comes the risk of Listeriosis, as RTE meats are one of the favourite breeding grounds for L. monocytogenes. On October 29th, 2015, and still currently, American consumers have been warned about meat that could be potentially contaminated with Listeria monocytogenes. This particular outbreak was attributed to smoked kielbasa, hams, Canadian Bacon, bone-in pork loins, and liverwurst that were produced on October 20th, 2015 that was produced by Adolf’s Meat Products in Connecticut. About 224 pounds of meat have been recalled. 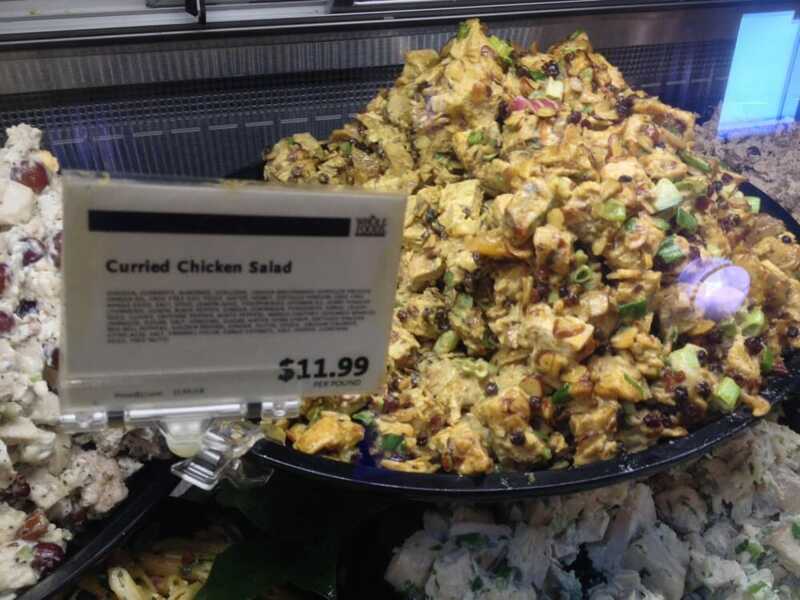 In another incident, a Whole Foods supplier in Massachusetts is recalling curry chicken products, such as their salad, salad wraps, and salad roll-ups that could also possibly have been infected with L. monocytogenes. Customers who have purchased these items are told not to consume them and to return the products straight to the store. This problem was confirmed during FSIS sample testing, although there have not been any cases or adverse reactions reported due to consumption of these meat products. L. monocytogenes favours growth in refrigerated to room temperature (4 to 37 degrees C), which is the reason why they are so prevalent in these meats that are eaten on their own without cooking. It is also present in many raw foods such as milk, ice cream, and produce. Despite this, most of the big outbreaks in Central/Eastern North America have been attributed to RTE meats. To put statistics into the prevalence of L. monocytogenes in the USA, 1600 illnesses and 260 deaths happen annually due to the contamination of food. Per 100,000 people, 0.26 cases are estimated. Despite these statistics, listeriosis has declined by 42% in 2013 compared to 1996-1998. An example of a major outbreak was the big Listeria outbreak at a Maple Leaf foods branch in Toronto in 2008, which resulted in 57 cases of illness and 23 deaths. This outbreak cost the company $20 million dollars, and 23 of their products were recalled. L. monocytogenes proved to be a forced to be reckoned with as the company had lost not only the money, but their image as well. In North America, Listeria is considered to be an increasing threat to human health due to antimicrobial resistance, its ability to grow in refrigerated temperatures, and its large prevalence in the environment. Listeriosis can be fatal in those who are elderly and those that are still young children. Luckily this was found before the outbreak actually had caused illness in a consumer, however, it is still early to tell as the outbreak was very recent. It is important that consumers understand that they must be vigilant when consuming RTE meats. Although hot dogs, luncheon meat (SPAM), and deli meats are convenient because they are already pre-cooked, the risk of contracting listeriosis is very real. Hopefully this thanksgiving, those who choose to purchase RTE meats to serve at dinner cook it very thoroughly past 40 degrees C. It is advised that they use thermometers and put it into the deepest part of the meat to ensure that this temperature is meat. If there are any leftovers (which is definitely bound to happen) they should divide them into shallow containers to promote rapid cooling. What do you think about this outbreak? Do you think that the government and companies generally do a good job in recalling products and preventing illnesses? How do you consume your RTE meats? Interesting blog. I think because the meats are sold as “read-to-eat”, people usually do not think to apply more cooking preparations for it. I feel like thats what makes eating “ready-to-eat” foods so risky because we have to put a lot of trust to the food manufacturers that they’re consistently implementing stringent food safe procedures when preparing their ready-to-eat products. Especially because Listeria Monocytogenes is a very resistant bacteria. Reading about listeria in RTE meats really scares me as i regularly purchase my lunches from places such as subway, deli stores, sandwich stores, etc. The employees working there seem to adequately clean up their stations but I dont think they understand why it is important that they clean it well or the repercussions that come from foodborne pathogens such as l.monocytogenes. Or maybe i’m wrong and theyve all been trained very thoroughly about common deli meat pathogens. Who knows. This is an engaging blog post. I like how this instance didn’t cause any major problem in the population. This could be due to the rapid detection and efficient recall procedure from both the company and government to prevent any death and illness. I think the role that government plays in recalling food is very important. This is because that companies may not have enough resources to spread the word rapid enough, and I think with the government helps the recall process is faster. Also that many people trust government officials with providing legitimate facts. After learning about that ready to eat food are not the safest to be consume, I had been cooking some of the ready to eat products, such as ham. However some ready to eat food products such as salad, wouldn’t taste the same and as good if I cook it, so recently I been staying away from those foods. I agree with Ayra about the fact that “ready-to-eat” “reminds” people that the meat is well prepared and that further cooking preparations are unnecessary. However this can probably contribute to why L.monocytogenes can be so prevalent in deli meats. Nowadays people are fond of sandwiches, since they are easy to make and “everything into one”. This gives rise to more opportunities for exposure. In terms of government, I think they have been doing quite a good job in quickly recalling the products and acting quick in the investigations. Even though there has been many outbreaks, I will continue to consume these products, and try my best to reduce the chances of getting foodborne illnesses by preventing the cross contamination of deli meats with other foods. Keep proper sanitation when handling the food and consuming it asap are also my goals! Outbreaks in RTE foods really caught my attention. Nowadays people are so used to the concept of “grab and go”. Consumers trust the safety of RTE foods and do not usually perform any more processing before consumption. Therefore, food vendors and government surveillance agents have huge responsibility to ensure food safety and establish an efficient problem-detecting system. As consumers, we should also try to prevent cross-contamination by separating RTE food from raw food. Any leftover RTE food products should be reprocessed or discarded. It is not surprised that RTE meats are the most favorable breeding grounds for L. monocytogenes, as RTE meats do provide an environment for Listeria growth, while people simply eat RTE meats without any further processing. Since Listeria are able to grow under refrigeration temperature, keeping deli meats in the fridge does not prevent the growth of Listeria at all. However, nowadays consumers trust the fridge so well and believe that proper refrigeration temperature would solve everything. As a consequence it is very essential to raise people’s awareness about this issue and especially for the immune suppressed population like pregnant women, further thermal processing of deli meat might needed to ensure food safety. As listeriosis in pregnant women would be a very serious issue.